Epec Engineered Technologies is an experienced custom designer and manufacturer of high reliability user interface control panels. High reliability user interfaces are defined as being more dependable than standard membrane switches as they incorporate additional components into a full assembly such as displays, switches, interface electronics, and graphics with aesthetics to match demanding OEM applications. All our user interface products are custom engineered to fit your end products specifications. With our user interface products we focus on Tier 1 & 2, military, aerospace, medical, SATCOM and lab/test equipment applications. Our "one stop shop" approach allows us to keep production costs down and speed up development time for our customers. Epec, through our acquisition of Suncoast Digital Technology, brings solid engineering solutions based on proven designs and experience with a reputation for technical support, customer service and quality second to none in the industry. 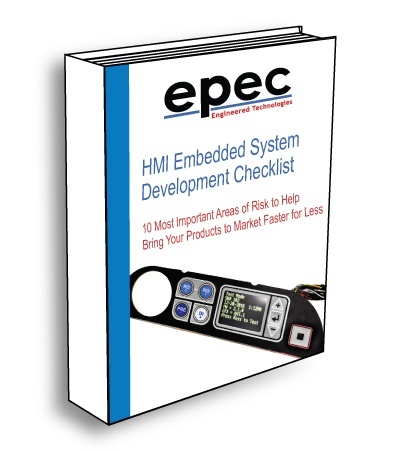 Not sure what type of HMI solution is best for your application? See our blog post to find out what kind of user interface is your best option.